Home » What's New » Freaky Floaters! Ever see stars or spots in your vision? Most people do and often ask their eye doctors what’s behind them. Drs Rob and Loree Wagner have fielded that question a lot. Our patients often describe the spots as objects floating in their vision. Hence, the common term, floaters. “They try to brush it away or track it visually, to no avail,” they say. But what causes the freaky floater phenomenon? Like most visual changes, it has to do with the aging process of the eye. At the very back of your eyes there’s a gel-like substance. The technical term is vitreous humor. When we’re born, this stuff is uniformly thick and transparent – think of clear gelatin. But as we get older or if we get hit on the head, that transparency tends to change. Any unclear spots can create a shadow on the retina, which is the light and sight-sensing part of your eye. And it’s those shadows – whether shaped like a speck, blob or strand – that we see as a floater. Annoying though they may be, floaters aren’t usually something to worry about. But listen to Drs Rob and Loree and resist the temptation to self-diagnose what’s going on. 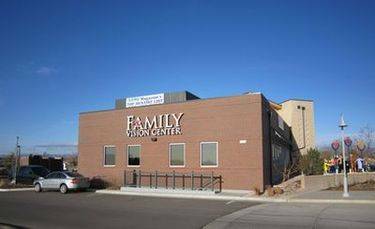 Call Family Vision Center 303-427-2020, if you experience sudden onset of floaters, or changes to shape, size or frequency of them. Anything from bleeding in your eyes to a retinal tear or detachment could be to blame. Light flashes and blurred vision should also signal alarm. “These situations require immediate attention.” Seek an eye exam right away if any of these symptoms take shape.